Beach Baby Finds for Summer! Heading out on a family vacation this summer for fun in the sun? Take along these items for your beach babies – sunscreen, sand toys, and leak-proof water bottles for hydration are necessities! “Mom” lives near the ocean – healthy snacks are also a must when spending time near the beach. Favorites for her tiny tots include a cooler packed with organic cheese sticks, carrot and cucumber slices, crisp apples, hummus + pretzels, and organic yogurt squeeze pouches that have been frozen. This everyday sunscreen for super sensitive skin from California Baby can be used on babies 6 months or older, as well as adults! Providing a high-level of protection against sunburn, this water resistant sunscreen has been chosen as WebMD Expert’s Choice Winner, and it is easy to understand why once you’ve tried it yourself! “Mom‘ has been a fan of the California Baby brand for years when choosing all-natural products for her children’s skin – especially the Calendula Cream – which has cleared up the tiny baby acne on her little ones’ skin when they were infants. The sunscreen is another winner with “Mom,” who lives near the ocean with her family. California Baby® sunscreen is unfragranced, PABA free, mineral-based, and made with micronized titanium dioxide that scatters and reflects dangerous UV rays, offering UVA-UVB broad-spectrum protection. It comes highly recommended by leading dermatologists and allergists for their patients with chemical sensitivities and fragrance intolerance. 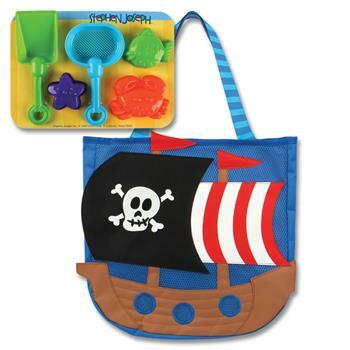 Your little pirate or mermaid will have tons of fun in the sun with these adorable toddler beach totes! Each colorful, bright tote design comes with a Sand Toy Play Set, with 5 sand toys, putting the fun at their fingertips as soon as they hit the beach! The bag measures approximately 15” x 13” (not including the handle). There’s room to spare for additional toys, a toddler-sized towel, and sunscreen, too! The totes can also be personalized, if desired. Keep your little ones hydrated and cool while playing in the sand or poolside this summer! 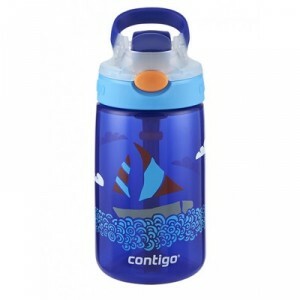 Contigo’s kid sized water bottle, the 14 oz. AUTOSEAL Gizmo Sip, is 100% spill proof and puts the fun in functional with a see-through top and a colored spout, showcasing the inner gears at work to little engineers. It looks just like the larger adult sized Contigo water bottle, only smaller, making it easier for tiny fingers to grasp. With a ton of bright, bold designs, the BPA-free Gizmo Sip is easy to clean and doesn’t leak – “Mom” is over the moon about this last fact! The Gizmo Sip is $9.99 and available for purchase at Target and GoContigo.com. *Companies generously provided images and samples for this article. All thoughts expressed herein are my own. 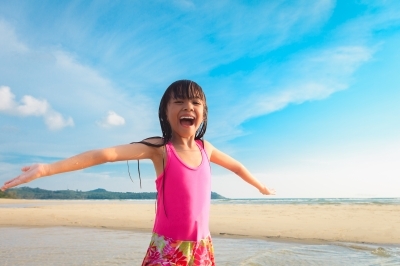 http://tinygreenmom.com/wp-content/uploads/2016/06/Little-Girl-on-Beach.jpg 266 400 Tiny Green Mom http://tinygreenmom.com/wp-content/uploads/2018/07/logo-sm.png Tiny Green Mom2016-06-04 11:27:052016-06-04 11:27:05Beach Baby Finds for Summer!